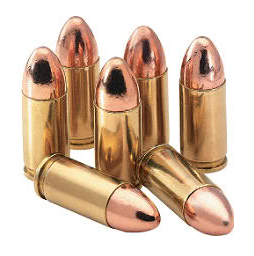 DO YOU WANT TO SHOOT FASTER AND MORE ACCURATELY? This is your opportunity to fine tune the balance between speed and accuracy! All drills will be from the holster and pertinent to developing life saving skills. This course will push your skills and build the proper muscle memory. 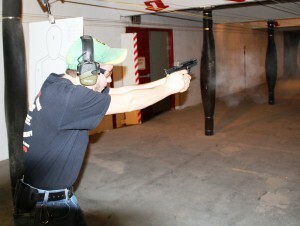 Our owner and chief instructor oversees the firearms training for a major police agency and brings that training to you. Additionally he and the entire staff attend additional training to ensure they are teaching the latest techniques. We have students that return to these courses multiple times for more intense training. “I have attended the Advanced Shoot with an Instructor course 7 times now and every time, I learn more, push further and leave feeling like I’ve improved. Being able to ask questions and be examined in a real time shooting environment is invaluable. I plan to attend ASWI every chance I get. “- Adam G.
Just as all other courses the Commence Fire staff has the ability to observe you as you shoot and make relevant suggestions that will dramatically improve your draw, presentation, speed and marksmanship. 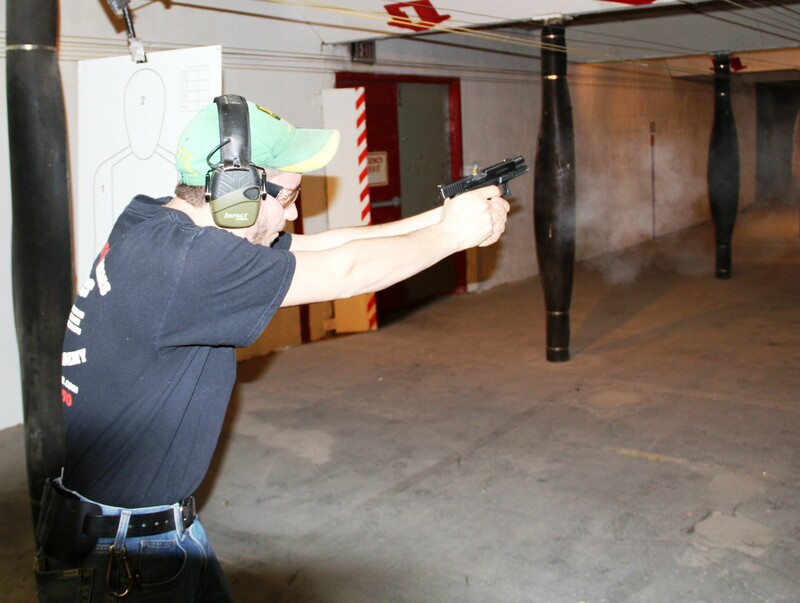 We take great pride in helping in our students improve their shooting skills. While side by side with a Commence Fire Instructor the Advanced Shoot with an Instructor allows you to ask questions, become more comfortable with your equipment, fine tune stance, grip, sight alignment, sight picture and trigger management. Pre-requisites: Firearms training course. Due to the fact there is no classroom training we mandate proof of previous firearms training. This is for safety reasons. Previous training does not have to be with us. In addition you MUST have completed our Proper Holstering Course.